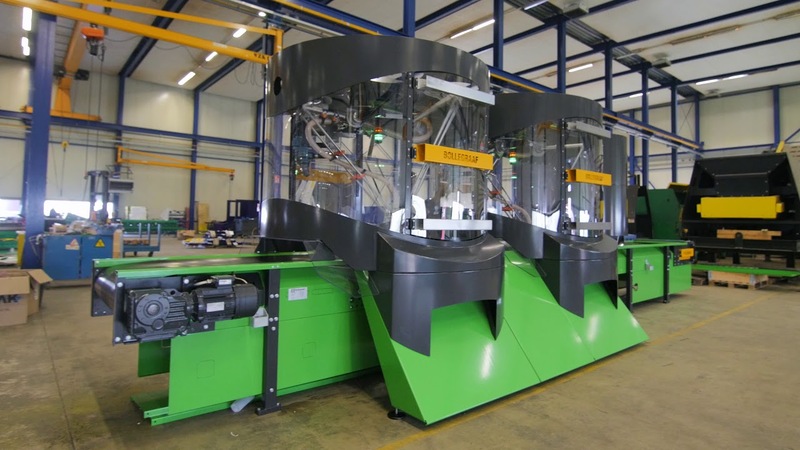 The Bollegraaf Cogni is a fully automated sorting robot, ready and capable of sorting and separating valuables such as plastics during the final stages of a waste sorting process. Materials selection only requires the touch of a button, and ranges from PET, HDPE, LDPE , PS and PP to Tetra Pak, OCC or paper of various shapes and sizes. Vision is organised via near-infrared technology and height detection. One detection module operates up to ten sorting modules. The system can sort intermittently or continuously, regardless of working conditions on site, and requires minimal supervision and little maintenance. Its flexible, modular configuration enables you to choose the number of sorting units required and simultaneously sort up to 4 different materials per module. The system’s flexibility allows you to change material waste streams, so you can adapt to, for instance, changes in commodity prices. The low energy consumption, the reduced incineration and landfill costs and the cost savings on manual labour makes this system a highly cost-efficient solution and leaves you with pure, re-sellable recyclables. Discover how the Bollegraaf Cogni can help you to sort the desired materials and reach the desired return on investment.